How do I retrieve an accidentally deleted note on my iPad 2? I'm in trouble if I can't get this note back. Please help. Thanks a lot! iPhone makes taking notes anytime and anywhere possible, which really makes our daily life work in a planned way, and from which we benefit a lot. Once losing the notes of iPhone on account of deleting by accident, we may be at a loss and hurry on to search feasible ways to undelete notes from iPhone if no backup. iFonebox can help you get your valuable notes back imbedded in your iPhone. It is the ultimate way recommended for you to know how to restore notes on iPhone. In possession of it, you are totally relieved from the trouble of losing notes even any other kinds of data of iPhone. 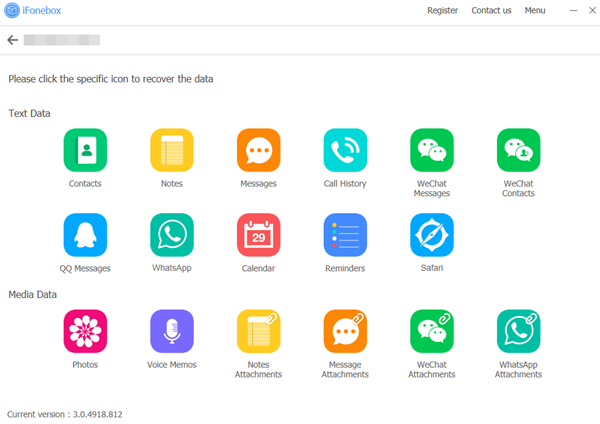 Because the powerful program enables you to get back notes as well as text messages, photos, videos, contacts, reminders, safari history, phone numbers, events from calendar, WeChat data, WhatsApp data and many more. 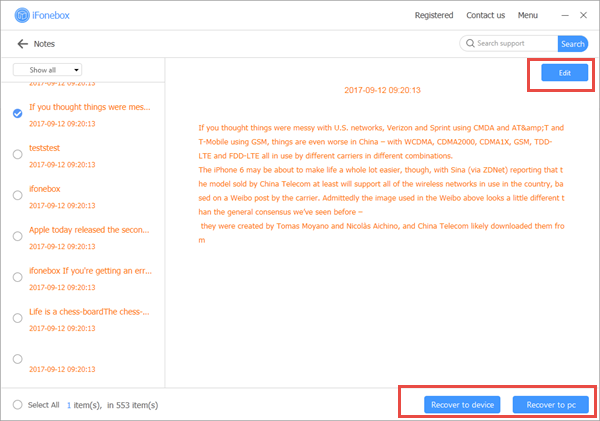 Actually, with the help of iPhone Notes Recovery, you are provided three ways to recover deleted notes on iPhone, one is retrieve deleted notes from iTunes backup files on condition that you have backed them up previously, the other way is recovering deleted info form iPhone directly, and one added method is that you can retrieve deleted notes from iCloud. Both of these three ways are very easy, you can complete all the operation steps in seconds. iFonebox is fully compatible with Win and Mac, it’s necessary to install the program from official website or here, please make sure to download the right version for your computer. 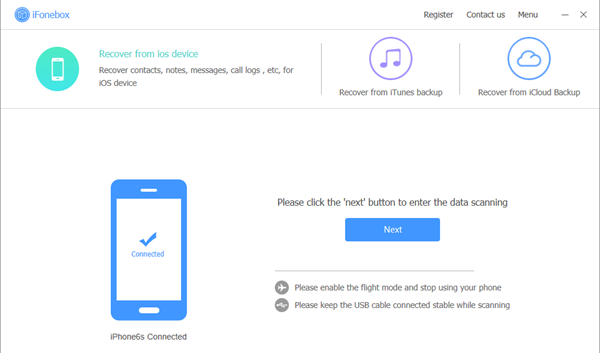 The following instructions will show you how to restore lost notes from iPhone directly. Once the scan is complete, a list of contents will show up on your program interface. Now you can recover them, choose the items you want to retrieve and click “Recover to pc”.